At AutoSource we strive to deliver our customers an exceptional lineup of used cars, trucks, SUVs and vans from today's top manufacturers. 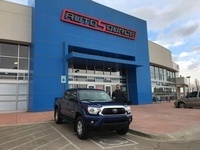 With 4 locations serving both Colorado and Utah, you can say that drivers from around Colorado Springs, Windsor, CO, Lindon and Woods Cross, UT have trusted our team of friendly and knowledgeable sales professionals for years. We are here to help you find the exact vehicle you've been looking for at one of our state of the art showrooms. 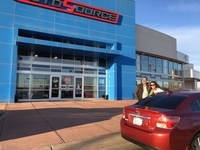 AutoSource Nation is your number one auto solution. We provide our customers with all the tools needed to make an informed purchase, as well a team of professional technicians at our auto service centers to help keep your vehicle on the roads of Colorado Springs, Windsor, Lindon and Woods Cross longer. We are here to help you have a long and positive vehicle ownership, so if you are in need of basic auto maintenance like tire rotation, oil change, or brake inspection to something more serious, schedule an appointment with us today.